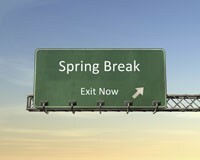 SCSD2 will be on Spring Break from Monday, March 23rd to Friday, March 27th. The Responsible Technology Use Agreement will be enforced during break. This means that iPad and digital citizenship expectations will be in play 24/7 no matter where you spend your time! Enjoy your time off. 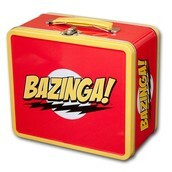 You and your iPad need to return to school 'charged' on Monday, March 30th. We will start back to school on an A schedule. We've got one week remaining in Quarter 3! That final week is March 30 through April 3rd. 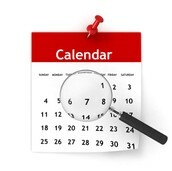 Most teachers will have work deadlines prior to April 3rd so get caught up and stay caught up! Anything you can take with you to do over break? Do it! Report cards will be emailed/mailed to parents on or about April 7th. Watch for them! SMS started EPIC exactly one year ago and we've been pleased with the increased amount of work being completed, the collaboration between staff, and extra help from our dedicated EPIC supervisors. We are hoping that the increased amount of completed work will translate to more learning, students being better prepared for high school and beyond, and students being better prepared for standardized tests like the ISTEP+. After analyzing our student survey results and collaborating with staff, we are poised to start EPIC 2.0 when we start our fourth quarter (April 6th). EPIC will continue to provide support for students but the way to access that help will be different. The changes are designed to make students even more accountable. What changes do you anticipate? Find out more in next week's Scoop! Congratulations to Mrs. Carter, Mrs. Lohr, Mr. Roberts, Mrs. Slaton, Mr. Smith, and Mr. Trinkle for being recognized by graduating seniors at the Senior Academic Recognition Banquet at SHS on March 19th. Each year, top seniors get to recognize the teacher that inspired them the most during their K-12 academic careers. Teachers are invited to the banquet without knowing which student nominated them. Students then give speeches and reveal their choices and explain why these people mean so much to them. When it is your turn to speak, what teacher would you pick? Congrats again to these SMS staff members that were recognized by members of the SHS Graduating Class of 2015! We are proud of you for being such a positive influence on students! 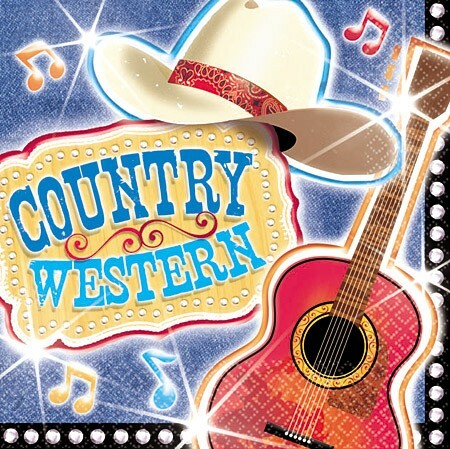 Don't forget that our Student Council-sponsored Country Western Dance will be Friday, April 3rd from 6:30-9:00 PM at SMS. Admission is $3. The dance is for SMS pardners only. Attendees must meet these requirements: must attend class on April 3rd, must not be removed from a class on April 3rd, no demerits the week of the dance, no fighting demerits since the last dance. Cattle thieves will not be admitted. Students with work on the EPIC list are invited but will report to room 200 to put out all old campfires to being allowed to join the dance. Pick up and drop off will be the same as the fall dance. Eighth grade entry is the west PE door, 6th and 7th graders enter the west bus door. Stagecoaches should be ready to pick up students at 9:00 sharp. All ponies with 8th graders should use the east office door. Wagons without 8th graders should pick up on the west bus side. Students may purchase light grub or glow products. A photo booth will be open and pictures are $1. For those wanting to 'get their cowboy/cowgirl on', dancers may wear cowboy hats or country ball caps. 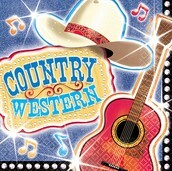 Dancers may also wear boots (no spurs) and bandanas worn in a western style (not gangsta-style). Normal school clothing is also quite appropriate! Replica or real weapons may not be on campus. If you wear a holster, you'd better be packing something other than a pistol. Students may carry a cell phone at the dance but it is not to be used without administrative permission. Parents and staff members will serve as sheriffs. Sheriffs are asked to sign in at the cafeteria at 6:10 PM. Sheriffs are also asked to call SMS prior to the day of the dance to help us prepare our duty roster! 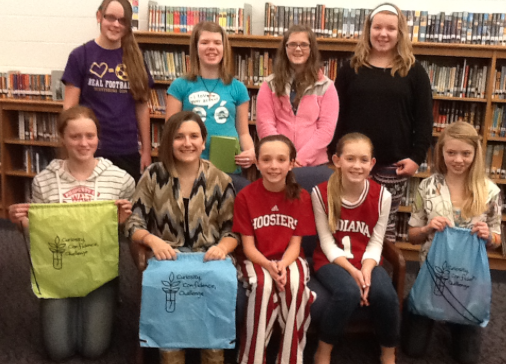 SMS sent students to a conference for Girls on Careers in Science, Technology, Engineering and Math (STEM) on March 14th! The 6th graders journeyed to Indianapolis to sew pigs feet, explore polymers, and discover what scientists and author J.K. Rowlings have in common! The conference featured a series of workshops led by professional women in the fields of architecture, biology, mechanical engineering, computer programming, environmental management and twenty-three others! Breanna Brown, Kady Clancy, Olivia Hamelman, Avery Kendall, Justice LaMaster, Gianna Lewis, Anastasia Robinson, Cheydan Ryker and Lyla Waskom joined 400 other middle schoolers to explore STEM careers for a day. Olivia felt the workshops let her learn about several careers in depth. 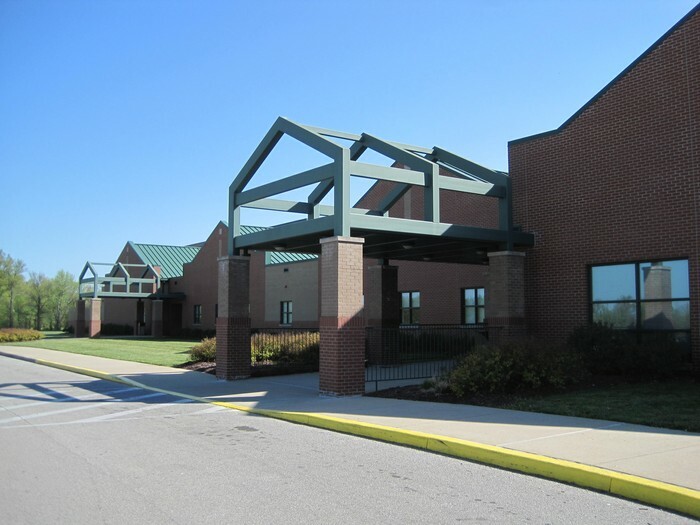 Cherydan said she would recommend it to 6th graders next year, “It was a fun experience. I learned a lot and met new people.” But the day was summed up by Justice LaMaster when she said, “I just liked it all!” Thanks to Mrs. Decker for arranging for the students to have this opportunity. The participants are pictured below! Get up extra early and watch the sun rise. Read a book to a small child. Take a walk with a friend or family member. Make a card for a friend. Use your iPad to learn something new about a passion. The SMS Talent/Art Show has been pushed back one week. 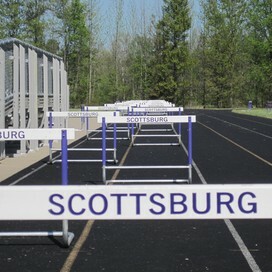 This will help us accommodate the SCSD2 Kindergarten Roundup set for SMS on April 9th and 10th. The Talent/Art Show is set for Friday, April 17th. Mon. 23-Fri. 27: Spring Break!